Libraries have historically played a role as a community builder, providing resources and spaces where knowledge can be archived, shared and created. They can also play a pivotal role in fostering the public's understanding of science and scientific processes. From makerspaces to data visualization labs to exhibits, many libraries already delve into scientific explorations and many more could join them. Scientists often need to include "broader impacts" goals in grant proposals, but they might not know where to begin or feel that they do not have the time to devote to public engagement. This is where libraries and librarians can help. Research in science communication also supports tapping into libraries for public engagement with science. Studies show that it is important for scientists to present findings in an apolitical way-not aligning with one solution or one way of thinking and not being seen as an activist (Druckman, 2015; Jamieson & Hardy, 2014). One of the core tenets of librarians and libraries is to present information in a neutral way. Research also shows that Informal conversations about science can have a greater effect on people than reading about it online or hearing about it on the news (Eveland & Cooper, 2013). Again, libraries can play a role in fostering these types of conversations. Given this landscape, this book will demonstrate concrete ways that libraries and librarians can play a role in fostering public engagement with science. 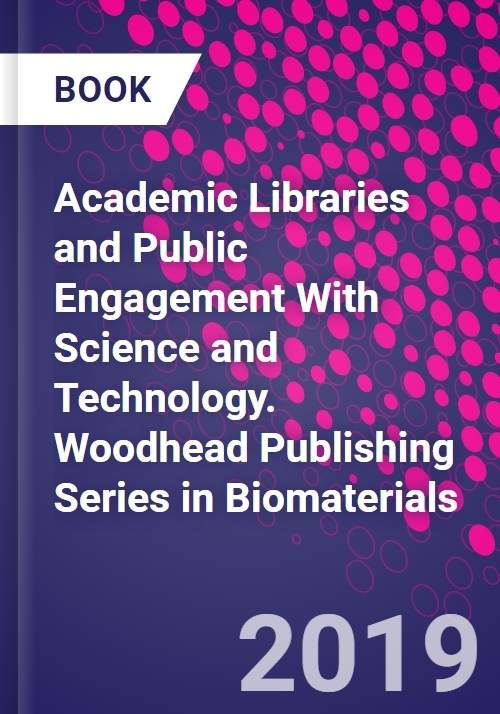 In addition to background information on the current landscape of public knowledge and understanding of science, it will also include best practices and case studies of different types of programming and services that libraries can offer. Often libraries do not jump to mind when people think about science education or science literacy, and many librarians do not come from a science background. Literature on science programming and sharing science is largely absent from the library field. This book will help give confidence to librarians that they can participate in engaging the public with science. At the same time, it will provide a conduit to bring informal science educators, communication officers from universities or research organizations who share scientific discoveries with the public, and librarians together to explore ways to align their work to promote scientific literacy for all. The author is currently the Health & Life Sciences Librarian at the Universities at Shady Grove. Previously, she oversaw the Naturalist Center at the California Academy of Sciences, a natural history museum, aquarium and planetarium. The author has a Bachelor of Arts in Environmental Studies and Biology from Macalester College, St. Paul, MN, a Master in Environmental Studies from York University, Toronto, and a Master of Arts in Library and Information Studies from the University of Wisconsin-Madison. She has authored several publications, including the book Exploring Environmental Science with Children and Teens (ALA Editions, 2014), and a chapter, "Learning about Future STEM Careers, in the book How to STEM: Science, Technology, Engineering and Mathematics Education in Libraries (Scarecrow Press, 2014). She created the webliography "STEM Education in the United States: Selected Web Resources, in 2015 in the journal, Issues in Science and Technology Librarianship (doi: 10.5062/F47S7KS6).